The current state-of-the-art method for diagnosing cancers and determining the boundary between cancer and normal tissue during surgery, called Frozen Section Analysis, is slow and sometimes inaccurate. Each sample can take 30 minutes or more to prepare and interpret by a pathologist, which increases the patient's risk of infection and negative effects of anesthesia. And for some types of cancers, frozen section interpretation can be difficult, yielding unreliable results in as many as 10 to 20 percent of cases. Now a team of scientists and engineers at The University of Texas at Austin has invented a powerful tool that rapidly and accurately identifies cancerous tissue during surgery, delivering results 150 times faster than existing technology. 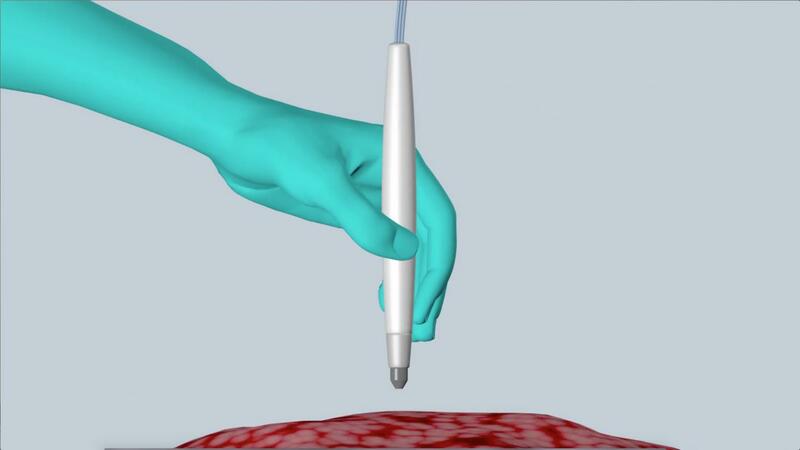 The MasSpec Pen is an innovative handheld instrument that gives surgeons precise diagnostic information about what tissue to cut or preserve, helping improve treatment and reduce the chances of cancer recurrence. The research was published in the journal Science Translational Medicine. Living cells, whether they are healthy or cancerous, produce small molecules called metabolites. These molecules are involved in all the important processes of life - such as generating energy, growing and reproducing - as well as other useful functions such as removing toxins. Each type of cancer produces a unique set of metabolites and other biomarkers that act as fingerprints. The molecular fingerprint obtained by the MasSpec Pen from an uncharacterized tissue sample is instantaneously evaluated by software, called a statistical classifier, trained on a database of molecular fingerprints that the researchers gathered from 253 human tissue samples. When the MasSpec Pen completes the analysis, the words "Normal" or "Cancer" automatically appear on a computer screen. For certain cancers, such as lung cancer, the name of a subtype might also appear. 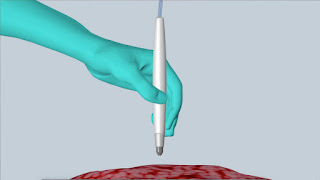 Physicians can easily operate the disposable handheld device by holding the pen against the patient's tissue, triggering the automated analysis using a foot pedal, and waiting a few seconds for a result. Meanwhile, the pen releases a drop of water onto the tissue, and small molecules migrate into the water. Then the device drives the water sample into an instrument called a mass spectrometer, which detects thousands of molecules as a molecular fingerprint.